The background is a combination of Terragen work and stock photos. It was a pain to manipulate them both to achieve the colours that I wanted [I can only make simple stuff with terragen >.<] and a painting-like feeling. The concept is as simple as it looks. 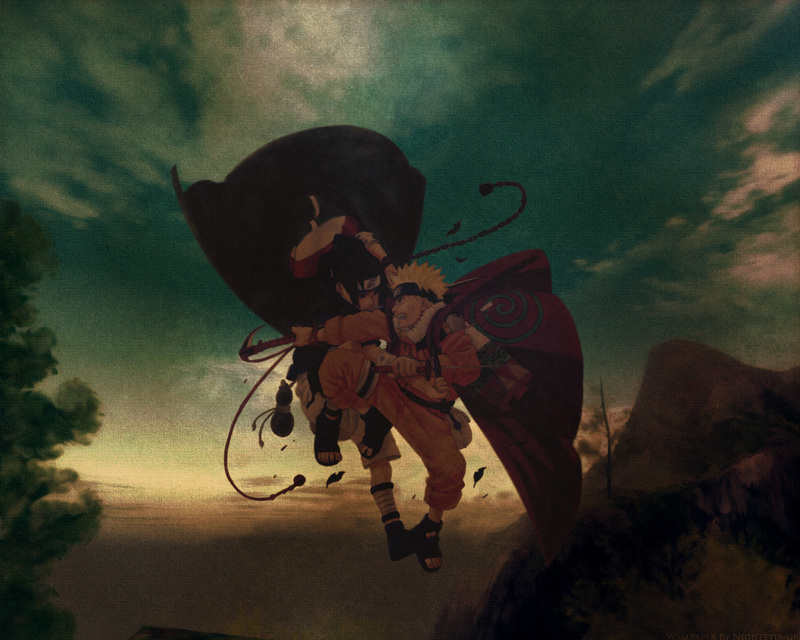 A Naruto-Sasuke fight during the sunrise. Very pretty, very nice, but that's Naruto.. I like it, looks really great. I love this *canvas*-like background, and the colors you chose... everything blends so nicely. very nice wallpaper. thanks so much for sharing! keep up the great work please!